Part of the First Global Migration Workshop sponsored by the Center for Global Migration Studies with support from MPRC. The lecture is free and open to the public. Join us for a lecture by CUNY Graduate School Distinguished Professor of Sociology Ruth Milkman. 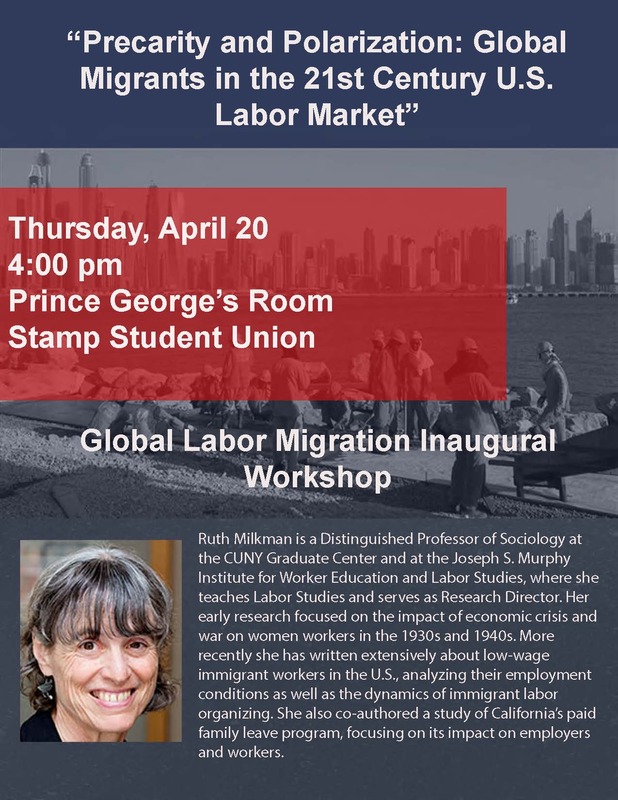 Professor Milkman's recent research focuses on low-wage immigrant workers in the U.S. and analyzes their employment conditions as well as the dynamics of immigrant labor organizing. 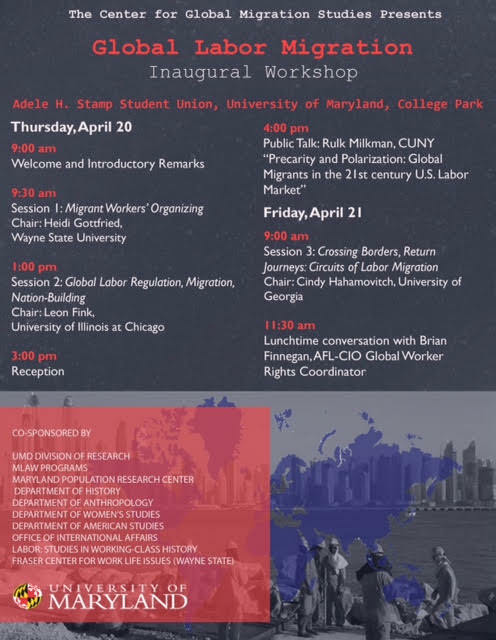 Please RSVP to globalmigration@umd.edu or on Facebook at https://www.facebook.com/events/1835431006734033/.